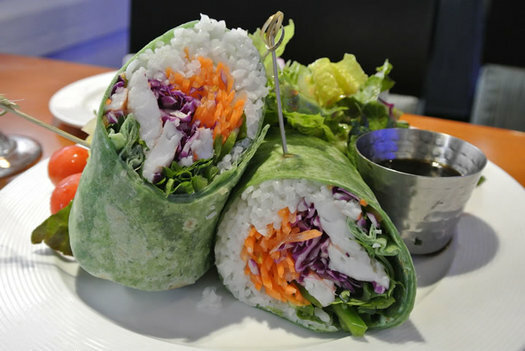 Shrimp Banh Mi Wrap at Reel Seafood Co. I've a bold proclamation to make. No one in the Capital District is making an authentic banh mi. Not nobody. Not no how. There are many places that certainly give it the ol' college try, but they all fall short in one way or another. Now, I'm not saying that these eateries should just give up, but maybe they should start rethinking what they are trying to do. One area restaurant is already doing that, and it might come as a surprise. It's Reel Seafood Co., one of the independently-owned holdouts on Wolf Road in Colonie, and its take on banh mi is something to be admired.